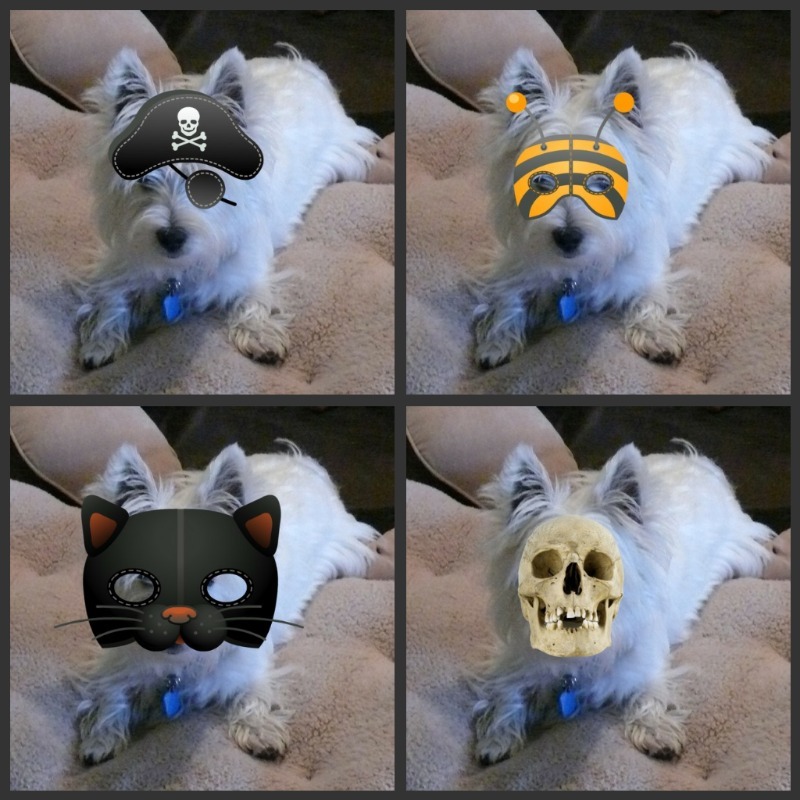 The White Dog Blog: Ha Ha Ha Happy it's almost Halloween! Duncan, all I can say is that if I can wear my Halloween costume for more than a quarter of a nanosecond, then so can you. Hi Duncan, somehow we have miss your posts. However we like the bummble bee mask, looks good, OH please don't use the skull, it scared the poop out of me. Pees; Blogger seems to have lost several of the post we follow, will get you back on board ASAP! Oh Duncan, You are a more tolerant pup than I. I refuse to let Ma put stuffs on me for more than half a second, and even then, she MUST have liver treaties to compensate! OH MY DAWG!!!! Where oh where did you find this fun photo stuff?????? I'm thinking the bumble bee thing is best. Me? I can't do costumes. Thank goodness for the photo sites that dress us up so we don't have to be bothered right, Duncan! Did you wear it without turning into a statue? Haha, the bottom left one is funny! A doggy dresses as a K-A-T!